Here's where I post News, What I've Worked On, Appearances, Updates, and Odds and Ends... Basically, it's the blog for this website. 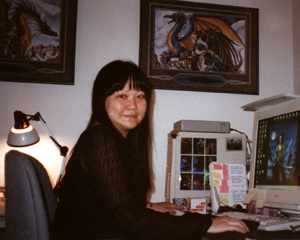 Here I am in my tiny office when I was at New World Computing. BJD MEETUP-- ARTMAZE (formerly the Elfdoll Store) had a special DOLLHEART party with DH fashion show and door prizes. Read about it in future on my Livejournal (I haven't had time to post about it yet). June 27. ART-- Attended the ILLUSTRATION MASTER CLASS, Amherst, MA. June 14-21. One of the most exciting experiences I've had as a fantasy artist! I've blogged a bit about it HERE. IMC Website HERE. TRAVEL-- JAMAICA!!! Whee! Went on a last-minute short (5 day) trip to Jamaica with our little 'Book Club' along with author W. A. Hoffman who has set a series about 17th. century buccaneers in Jamaica. May 5-11. I've blogged about it on my LiveJournal, HERE. ART-- Trying to finish a piece of L5R related art for IRON SAMURAI. Currently. ART-- Two pieces for Diana Stein's DRAGON DECK PROJECT... although I was late, so I'm not sure they'll make it into the deck. March 15-April 15. BJD MEETUP-- MAD TEA PARTY AT ROYAL/T, CULVER CITY-- FUN, fun event at the Royal/T (maid cafe), with ball-jointed dolls, costumes, lolitas, fashion show, and High Tea. I had lots of fun! I dressed up (a bit), vaguely Mad Hatter-ish. Brought my Cyndy2 (formerly Nene Thomas's) dressed as the Duchess, holding an Elfdoll Alice Cherry Blossom Piggy and a plastic flamingo. March 21. CARD ART--WARLORD. Three pieces plus a Warlord for the 3rd set of Warlord v2, from Germany, all digital. Due March 20. CONTRACT WORK-- 3D Animimation using 3DStudio-Max. Fun project, mostly with me helping out with some additional animation and facial animation using pre-set morph targets. I haven't been on MAX in years, but it came back, thankfully! Feb. to early April. BJD MEETUP--ELFDOLL STORE in Glendale. Valentine theme. I had my CP Delf Elf El Vampire in Dollheart's Gentlemanship and CP Juri '05 in Royal Purple Fer. I mostly talked with friend and co-worker Tom about possible contract work. February 7. THEATRE--PIPPIN at the MARK TAPER FORUM. I have a little nostalgia for this musical since I was in it once (played the step-mother) at the Academy Theater in Orleans, Cape Cod, MA, ages and ages ago. This version is a new one in conjunction with the National Theater of the Deaf with Pippin double cast--one signing and one singing. It was interesting. February 11. ART CLASS-- Signed up for the ILLUSTRATION MASTER CLASS run by Rebecca Guay, to be held in June. January. THEATRE--THE SCHOOL OF NIGHT at the MARK TAPER FORUM. About Christopher Marlowe, the School of Night being a group of scientists and poets of which he and Walter Raleigh and others were members. Written by Peter Whelan in '92 and first staged by the RSC, this was the US premier. Reviews were mixed, but I enjoyed it. Haven't been to the theater in a while. December 9. CARD ART-- LEGEND OF THE FIVE RINGS. Six pieces for CE, all digital. Due December 8, 08. CARD ART--WARLORD. Three pieces for the first expansion of Warlord v2, from Germany, all digital. Unfortunately one wasn't used, entirely my fault. Due November 15. ELECTIONS--OBAMA. Yes, I voted for him and am happy he won. I voted in the CA Primary in June for Hilary, but if not Hilary, Obama... and as it's going months later, I think he was the right choice by a mile. Most presidents barely do anything and he's juggling all kinds of huge issues and doing as well as humanly possible--if not MORE. I was extremely sorry that Proposition 8 was passed (narrowly! ), since I do think it impinges on Civil Rights and was an issue promoted by the fearful (if not outright hating) socially conservative right. But even if the forces of ignorance and bigotry still have a little sway, it's only a matter of time until there's gay marriage (unless something goes horribly wrong with the world). Sorry for the opinions, but hey, I'm American and we're allowed! November 7. BJD MEETUP--ELFDOLL STORE in Glendale. Back to School theme. Brought my Cyndy2 in KKWorkship school uniform with Slytherin scarf. September 6. CARD ART-- LEGEND OF THE FIVE RINGS. Glory of the Empire. Due August 23, 08. CONVENTION--GENCON! In the Art Show, again. This time with Theresa Mather as a neighbor, which was fun. Kept pretty quiet, hung out with friends, Diana Stein and Heather Bruton, as usual. Did Ruth Thompson and Stephanie drop by or was that last year? Gah, the years are just blending together! August 13-17. CARD ART--. WORKING on L5R assignment. Currently. CONVENTION--SAN DIEGO COMIC-CON. CONVENTION CENTER, SAN DIEGO, CA. Sharing a BOOTH in the Exhibit Hall in the Fantasy Illustrators Section with Susan Van Camp and Diana Stein (Van Camp & Stein, booth #4821). It was a great area--nice and quiet, across from John Zeleznik and down the row from Ruth Thompson and Larry Elmore. I had a great time--although it's exhausting even sitting behind the booth of such a HUGE con... barely saw anyone or anything, although it seemed as if everyone in the world was there (over 124,000 people). I'll try it again next year. JULY 23-27. FUN STUFF--. LABYRINTH OF JARETH FANTASY MASQUERADE, Hollywood, CA. Went to the Friday Night event (also on Saturday). Got stuff in my closet that I need to justify... masks and gowns and such... plus I love trying to take photos of all the fantastic costumes. Very magical! JULY 11. TRAVEL--CHINA TOUR. I was fortunate enough to go on a tour of China just three years ago, but doubly lucky to get to go again! This time with my 10 year old nephew, my sister and her husband and my Dad. He loves going to China, so after Istanbul/Athens last summer and Italy the year before that, we're heading back. Went to Hong Kong first. We sort of took a red-eye flight on Cathay Pacific (excellent airline), which was good because it was dark all the way there and I was exhausted, so I actually slept a bit. Arrived early in the morning and we all determined to try and much Dim Sum places as possible--and the first one was indeed excellent--some of the best I've had, and I've had a LOT of good dim sum. Saw people taking out their birds in cages, Taoist temple, Aberdeen fishing village, had a Typhoon Warning (the same storm that capsized a ferry in the Phillippines hit HK, but was down-graded--still caused traffic to shut down, but was OK since we weren't touring but flying to Beijing. Saw the Great Wall and Forbidden City and a great park with people singing and dancing and exercising for fun, and Olympic Souvenir Shops. Flew to Xian for the Terracotta Warriors (fantastic as always! --my third time there). Flew to Guilin to cruise the Li river with all the limestone hill-formations, went into caves to see stalactites and stalagmites. Went off to Chunquing, now the biggest city in the world with way over 10 million population and on a cruise of the Yangtze River and the Three Gorges Dam--seeing farming life and relocation villages and some parts of land still to be covered by the rising water. Then off to Shanghai, currently the most vibrant and growing and modern city I've ever seen. Saw old gardens and villages outside of town and lots of very modern sky-scrapers and upscale neighborhoods. Ate some amazing food (lots of amazing food, actually), tried not to buy too much (a few chops with my Chinese name on them, some painted snuff bottles, a painting mounted on a scroll, a few books). Wasn't too crowded--perhpas some tourists are waiting until after the Olympics? Took lots of photos, but haven't uploaded most of them yet. I'm on livejournal as april_art and have posted a few there. JUNE 20 to JULY 7. WEDDING--WED CON: Allie and Glenn's convention-themed wedding (where the Costumes were 21stC semi-formal Wedding-attendance gear. Held on a lovely sunny day at the gorgeous, very New Agey Inn of the Seventh Ray in Topanga Canyon. I had a great time. Weddings are much more fun as I'm getting older, I think! JUNE 14. FUN STUFF--WICKED: Musical. Haven't had a chance to see a big Broadway production of a musical for a long while. I enjoyed this weird take on the Wizard of Oz tale; a revisionist history of the Wicked Witch as not all that Wicked. Sets and costumes and singing very nice! JUNE 12. CARD ART--WARLORD. A German company purchased the rights to Warlord from AEG and they are creating cards--online? I'm not exactly sure. At any rate, I did a few... Due JUNE 10. GAME ART--LEGEND OF THE BURNING SANDS rpg. I missed the last L5R expansion--the FIRST time I've missed a regular expansion for L5R--oh, well, it had to happen some day, and after a dozen years or so, that's not so bad. Something to do with e-mails not working. *sigh* Anyway, Todd was nice enough to think of me for a piece of Burning Sands artwork. Due MAY 30. APPEARANCE--LONG BEACH KOTEI. 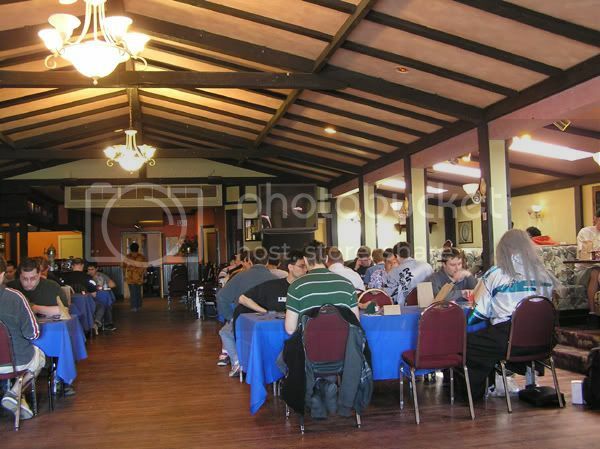 L5R TOURNAMENT, LONG BEACH, CA. Showed up late-ish, as is all too usual to this Kotei, not because I don't love doing it--I'm just a Night Owl, you know? The fantastic Steve Argyle was gracing a SoCal tournament once again and as always, it was good to chat with him--and with the players. MAY 24. APPEARANCE--THE IRON SAMURAI XP2. L5R KOTEI TOURNAMENT, CALGARY AND SASKATOON, CANADA. This is a crazy marathon event that covers two separate tournaments on consecutive days in two separate cities with a 7 to 8 hour bus ride overnight to get from one to the other. Now each tournament goes from morning to midnight--and the bus ride includes silly DVD-watching and a continuation of alcoholic beverages AND endless talk of game strategy or what have you... so only the most Iron of Samurai need apply. I have absolutely no idea how anyone can carry on with a long tournament for two days this way, but the 40 or 50 people happily doing this year after year seem to have no problem! I'm just fortunate that hauling around prints and artwork and sitting at a table all day doesn't take any thinking... there's a reason I'm an artist and not a player! The indefatigable Diana, tournament organizer, was picking a gazillion people up from the airport all day on the Friday before. Heather Kreiter was also a guest artist, which was great fun, since I had someone to talk with during game sessions. Heather was coming into Calgary from the East Coast, me from the West. That evening was a delicious meal at a steakhouse restaurant (I've forgotten the name), but I had a fantastic Prime Rib there. Rusty Priske, one of the AEG Story Team was also a guest and they had arranged for a big cake to be brought in as a surprise since it was his birthday. Seriously, in the middle of a huge Kotei, Diana and her team were thinking of every little detail! Diana offered Heather and I an early ride to her parents house where we were to stay, so we could get to sleep, which was nice. We were off by 7:30am the next morning to Ross Glen Great Hall at Mount Royal College--a nice new-looking facility with large windows. We got coffee from a nearby Tim Hortons--which got us off to a nice start. For lunch we got rides to a nearby Pita place. Dinner was fetched for us. We were kept pretty busy all day, although I had time for some sketching and Heather started on her latest L5R assignment. 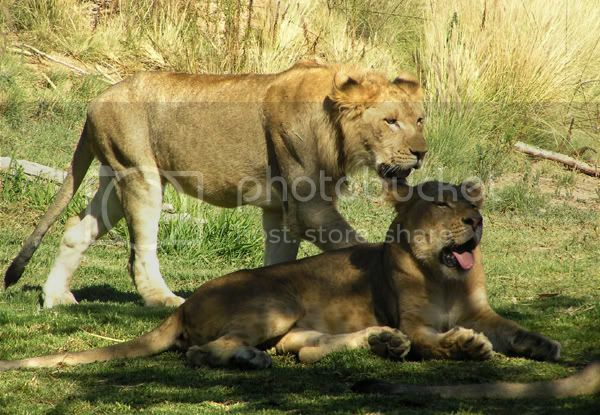 Finals at Calgary was between a Lion and a Crane with Lion winning. At around midnight the bus came... I'm sad to say that I was a total seat-hog and grabbed one of the rare two-seats up at the front (the quieter part) of the bus. The first DVD was "Princess Bride" and I remember hearing it through my headset and with my eyes closed. Second DVD was "Robin Hood: Men in Tights" and I was out for most of that. Apparently, this year the rowdy drunkeness wasn't up to the excesses of the past, which was fine by me! We rolled into Saskatoon at 7 or 8 in the morning. Heather was wonderful and asked about showers, so some of us got to use the shower in a nearby apartment (so nice!). The Saskatoon Kotei was at Maguire's Irish Pub and Brewery (on Easter Sunday!). It's in a strip-mall that had a great breakfast restaurant where I had waffles and local Saskatoon berries on top with whipped cream (yum!). 'Had pub food at Maguire's for dinner/lunch (potato skins and perogis). Heather and I walked over to a nearby drugstore for sodas and snacks. Things were a bit slower, sales-wise, since the players were mostly the same, but it was still all good. The bus ride back wasn't even bad, since I knew what to expect. When we arrived early the next morning in Calgary it was snowing! We got back to Diana's apartment and I was falling in and out of sleep, but still managed to have a lovely lunch at a local restaurant. The first group were off to the airport, but one of the guys missed his plane due to an hour and a half wait to get through customs! I was in the second group and the wait wasn't bad, but my flight was one of the latest--at 7:30pm, so I didn't have to worry. I finally got "home" to my sister's house (she lives nearer the airport) around midnight on Monday--and happily spent the whole next day sleeping! MARCH 22-23. APPEARANCE--THE BLOOD OF CHAMPIONS. L5R TOURNAMENT, IRVINE, CA. One day tournament held at UCI. The lovely Steve Argyle was artist guest, so I had a great time chatting with him about art stuff. And I had a great time chatting with players about all kinds of stuff. It was a fun day. I usually don't stay until the end, but this time I did, and it was very enjoyable. FEB. 9. CONVENTION--FURTHER CONFUSION. DOUBLETREE HOTEL, SAN JOSE, CA. This was my first time to this well-known anthropomorphic (furry) con. I did three quick pieces for the art show. There was an Asian theme, so I had a rabbit moon-goddess piece, a kitsune and a tiger samurai. I roomed with Heather Bruton and Diana Stein who had marathon commission-drawing sessions with other artists all night, every night, to the wee hours--boy do they all work HARD!!! I bought a lovely bat-eared fox stuffie from Stuff'n'Nonsense--and some bits of artwork. It was cool to see the parade of 387 Fursuiters (just gorgeously made costumes). Stats from the website: Attendees 2311, Art Show Sales $52,068.00. JANUARY 24-28. PERSONAL--My Uncle, Dr. Harry Lee of San Francisco (Internist), passed away of a massive stroke while I was at the convention. There was nothing I could do, even though I was fairly near-by. He was a Korean War Veteran, serving in medical stations. Remained in the Army Reserves and became a full Colonel. Was Chief of Staff for several terms at SF General (I think), was heavily involved in many medical groups, such as the Federation of Chinese American and Chinese Canadian Medical Societies and the An Lok Chinese Senior Health facilities. Graduate of Oregon Health Sciences University, 1945�1949. Had offices at 890 Jackson St. in San Francisco for decades. He was active in his medical interests and societies and maintained his office up until the end. My aunt and cousin up in S.F. survive him. JANUARY 27. CARD ART--LEGEND OF THE FIVE RINGS: Unnamed expansion--I think this is Words and Deeds?. Several pieces due ???. WEBSITE--Begin major update, mostly of the cosmetics (background and some layout), using designs by Summer Skies. Minor updating of content, as well. Additions to be made later (it is taking FOREVER as it is!). PERSONAL--My Dad falls and hits his head, my sister falls and breaks her ankle--so I'm worried for while and helping to do a bit of driving for my sister (it's her right ankle). But luckily only horrible bruising and a pulled back results for my dad, and my sister is in a light cast and can't drive for two weeks, but then gets an air cast and can drive after that. Whew. October 17 & 19. CARD ART--LEGEND OF THE FIVE RINGS: Test of the Emerald Champion. Several pieces due Oct. 9. EVENT--SAN DIEGO WILD ANIMAL PARK: with Terrie Smith and Heather Bruton--and dinner at Outback with them and Michele Light. Sept. 13. We all took lots and lots of photos! EVENT--MIKE AND DAWN'S WEDDING: in San Diego, aboard the H.M.S. 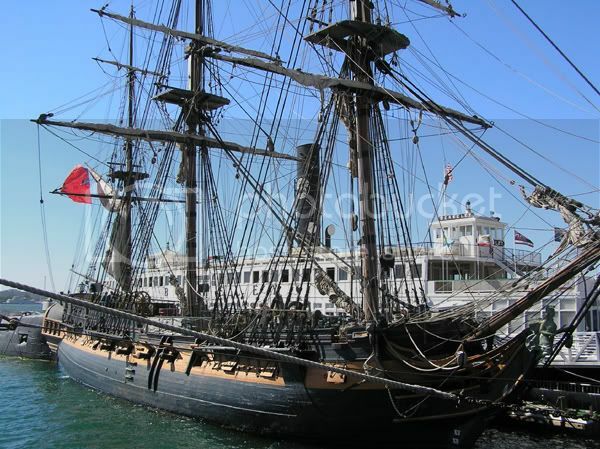 Surprise (used in the film "Master and Commander" with Russell Crowe, based on the Patrick O'Brian books). A gorgeous day and wonderful wedding--with lots of great people from all over the continent. Sept. 10. EVENT--RENOVATIONS in my apartment: Re-piping, asbestos abatement... Have to clear out my kitchen, bathroom and part of my living room and dining room... a total pain! Sept. 5-19 (plus, since water was not turned back on, sink and electrical not quite working right, etc.). 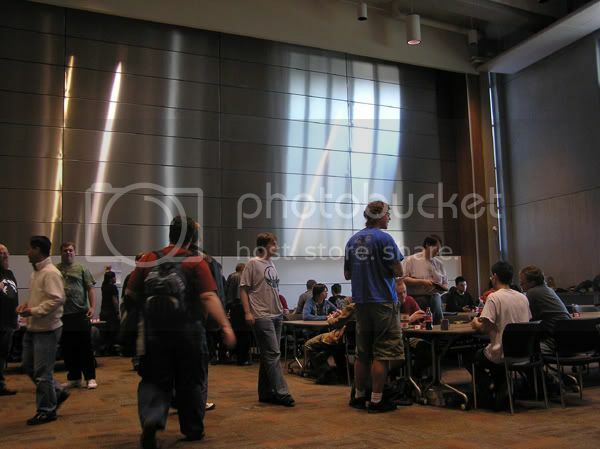 CONVENTION--GENCON-INDY: in the Art Show, again. Arrived early (on the Red Eye--oh, sleeplessness!) for once. Had only a limited set of new prints and no new matted prints, just stuff left over from past years. Spent the con pretty quietly, even when my room-mates, Heather Bruton and Diana Stein had Ruth Thompson and Stephanie Law over one evening for Chinese take-out... But it was as enjoyable as always. Aug. 15-19. CONVENTION--SAN DIEGO COMIC CON: just dropped in for two days. Was amazed that I almost tread the mile-long Exhibit Hall in one day. Found out that a friend from Art Center was behind the Skelanimals brand. Found Kinuko Y. Craft's booth and bought books and prints and chatted with the artist. Found Mark Poole's booth and chatted briefly. Other cool people, too. Got ahold of one of those giant Smallville bag freebies. Also went to the Pre-Raphaelite art Exhibit at the San Diego Art Museum. July 26-29. EVENT--Harry Potter and the Deathly Hallows book release: I can't help it, I enjoy these books and standing in line for them on the night before is like going to a weird rock concert. Lots of fun. Read the book in one day... Enjoyed! July 20. EVENT--LABYRINTH OF JARETH: Fantasy Masquerade at the Henry Fonda Music Box Theater in Hollywood, held for the first time Friday and Saturday. I went both nights. 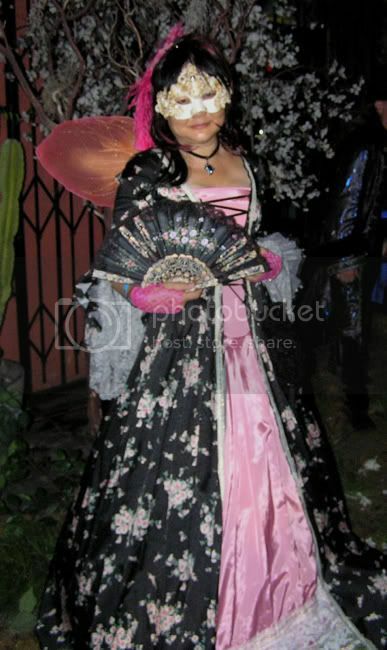 Wore red velvet Italian Renaissance dress with Fox mask on first night and also attended the Pre-show. Second night wore black print 18thC dress and white mask I bought in Venice the year before. Loved seeing all the costumes and shows. July 13 & 14. 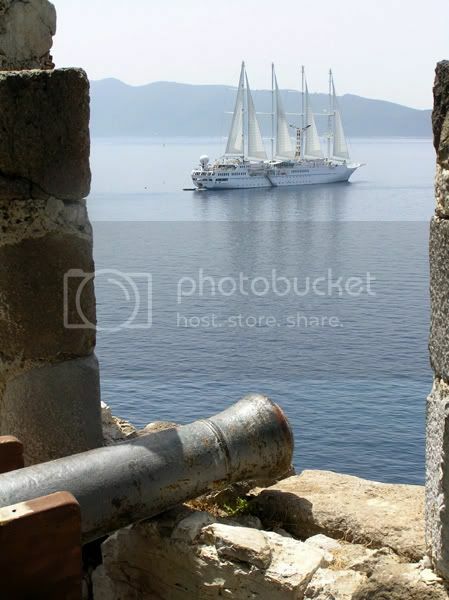 Our ship, the lovely Windstar, anchored at Bodrum. CARD ART--LEGEND OF THE FIVE RINGS: Stronger Than Steel. Art due May 4. CARD ART--LEGEND OF THE FIVE RINGS: Samurai Edition. Part 2, two pieces due Feb 26. CARD ART--LEGEND OF THE FIVE RINGS: Samurai Edition. Part 2, Art due Feb 2. PERSONAL--My mother passes away from complications of Parkinson's Disease/pneumonia. Feb 1. CARD ART--LEGEND OF THE FIVE RINGS: Truest Test. Art due Jan. 9. Go to STUDIO 2000 to 2004--for news from those years. Go to STUDIO 1999 to 2000--for news from those years.